Youku Tudou’, a leading multi-screen video entertainment and media company in China, has announced its unaudited financial results for the second quarter 2015. The results are overwhelming positive; Youku (akin to the American Youtube) has proved to be a landmark digital success story in China. ‘Youku’ is China’s leading Internet television platform, enabling users to search, view and share high-quality video content quickly and easily across multiple devices. The brand is among the most recognized online video brands in China. Gross profit was RMB 254.1 million (US$41.0 million), an 11% increase from the same period in 2014. Advertising net revenues were RMB1.28 billion (US$206.1 million) in the second quarter of 2015, a 40% increase from the previous year. He further commented that; “revenue diversification through consumer business has been successful and based on progress driven by our business unit reorganizations and management team additions”. The company have adapted to the ever-changing demands of the Chinese market and remained flexible in terms of their organization and approach, this is key. Advertising revenues were RMB1.28 billion (US$206.1 million) in the second quarter of 2015, a 40% increase from the same period the previous year. This growth in revenue has been attributed to the increased use by brands of Youku’s advertising services. There has been an increase in not only the number of advertisers but also a rising average spend per advertiser. This is perhaps the key to Youku’s success. Nearly half of the companies advertising revenues have come from mobile, the emerging dominance of mobile as arguably the most important digital platform is a trend Youku have capitalized upon. “We have achieved broad adoption of mobile advertising by domestic and international advertisers alike,” said Victor Koo. Product development expenses were RMB 181.9 million (US$29.3 million) in the second quarter of 2015, as compared to RMB 98.6 million (US$15.9 million) for the corresponding period in 2014. This increase in expenses evidently delivered results with product development and diversification in mobile, search, social, subscription and interactive live entertainment services. The income derived from subscription-based services, interactive live entertainment and mobile game joint operations was RMB 174.5 million (US$28.1 million) in the second quarter of 2015, a 596% increase from the corresponding period in 2014. This growth is huge and largely attributable to the increasing user adoption of consumer services as demonstrated by the expansion of Youku’s user subscription service. There are a growing number of paying users and average spend per user has increased. 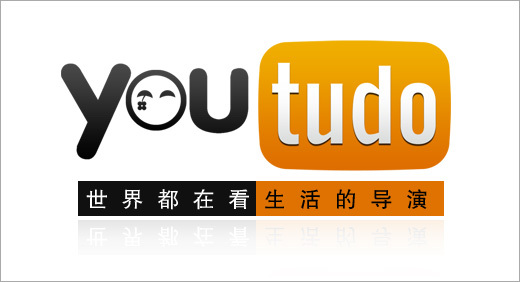 Youku-Tudou are a digital success story in the notoriously competitive and complex digital market in China. They have remained open to change and flexible in terms of their approach. Capitalizing upon emerging trends in mobile engagement, diversifying revenue sources, running a popular advertising service and increasing the revenue derived from their user subscription service all reflect a company remaining engaged with the Chinese market.